Jack London Village, just south of Glen Ellen on Arnold Drive, is steeped in a rich history, yet anchored squarely in the present. The beautiful natural setting nestled among mature trees, where Ashbury Creek flows into Sonoma Creek, provides a perfect environment for a relaxing morning or afternoon. Yeti Restaurant (Indian and Nepalese food) and Aventine Restaurant (Italian food) both provide creative cuisines in comfortable settings with outdoor dining on the spacious decks on warm evenings. Yeti is also open for lunch daily and Aventine for brunch on weekends during the warm season. Please call each business for hours. Exciting shopping options include Sculpturesite Gallery, with its contemporary and modern fine art sculptures offered for viewing both in the gallery and throughout the grounds; Wine Country Chocolates where world-class chocolates, including their famous Wine Truffles are made right onsite; Hopscotch Gifts & Gallery featuring cool jewelry, blown glass, hand painted dinnerware, metal art, paintings, prints, cards, lighting, silk scarves, and so much more, all handcrafted in the USA; Horatius, a fine shop for discriminating shoppers and coffee and tea. Right across the street, Eric Ross Winery offers fine wine tasting and Magical Massage will complete your relaxation! Horatius is a stunningly elegant coffee shop serving only 100% organic coffee along with delicious pastries, gourmet sandwiches, fresh-made soups daily and salads. We feature premium Portuguese wines to enjoy at Horatius or for retail. Fun gifts and cool art. Jewelry, blown glass, hand painted dinnerware, metal art, paintings, prints, cards, lighting, scarves and more, all handmade in the USA. 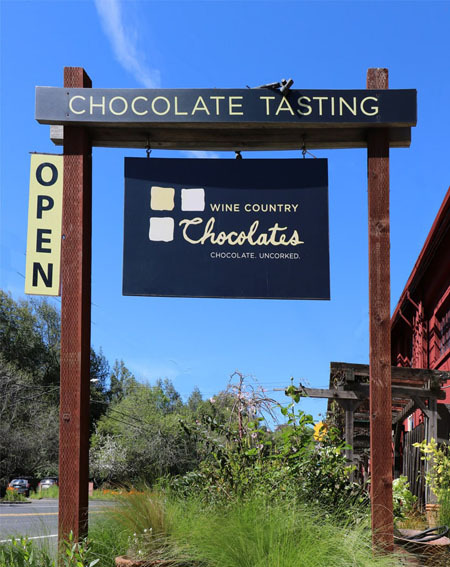 Irresistible, world-class chocolate truffles, including the famous wine infused truffles plus other delectable confections made right on site. Visit the tasting room! Contemporary and modern fine art sculpture and jewelry displayed both outdoors throughout the grounds and in the unique gallery space with concrete walls. Aventine Glen Ellen brings the neighborhood ambiance and exquisite cuisine of a traditional Italian Osteria to the heart of Sonoma’s vibrant wine country. The mystical and delicious world of authentic Indian and Himalayan cuisine in an intimate ambience. Each dish spiced to your taste. Relaxing patio seating. Visit the Jack London Village renaissance in Glen Ellen! Aventine Restaurant, the finest in Gourmet Italian cuisine. Yeti Restaurant, not to be missed Indian and Nepalese fare. Sculpturesite Gallery, a world class modern and contemporary sculpture gallery. Horatius, serving coffee, pastries, smoothies, salads and sandwiches and fine wines, amongst a potpourri of home décor and antiques. 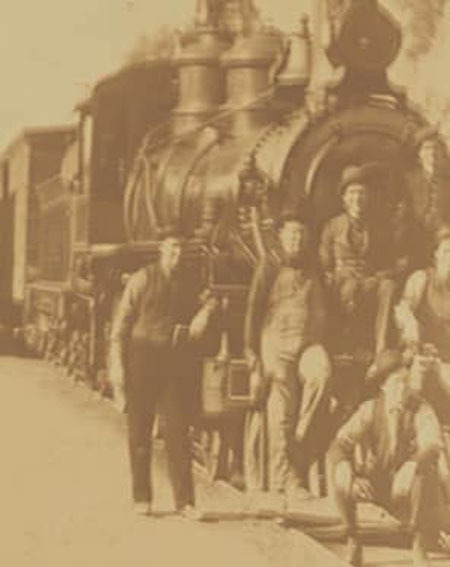 Glen Ellen Historical Society History Exhibit, a well-designed group of informative text and images of Jack London and his wife Charmian as well as a history of the Glen Ellen and environs early wine makers. Aventine Glen Ellen brings the neighborhood ambiance and exquisite cuisine of a traditional Italian Osteria to the heart of Sonoma’s vibrant wine country. With their new takes on classic dishes, extensive wine menu and pairing options, and beautiful location along the Sonoma Creek, Aventine Glen Ellen is the perfect setting to enjoy a memorable evening—whether it’s dinner for two or your own private event. 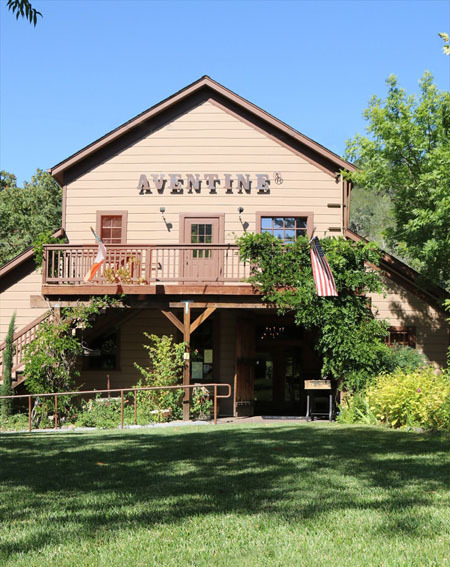 Chef Adolfo Veronese brings the rich culinary heritage of traditional and contemporary Italian, Mediterranean, and Californian cuisine at Aventine Glen Ellen. Sculpturesite Gallery has focused on modern and contemporary fine art sculpture for twenty-seven years. Sculpturesite Gallery has recently moved to Jack London Village in Glen Ellen, only 10 minutes from the Sonoma Square, in eastern Sonoma County after 10 years at Cornerstone Sonoma in the southern Sonoma Valley under the name A New Leaf Gallery | Sculpturesite now renamed, (more concisely), “Sculpturesite Gallery”. The indoor gallery is located within a series of six concrete vats built in the early 1940s for fermenting grapes for Glen Ellen Winery, connected to form a single exhibition space. The aged concrete walls are enhanced with modern glass doors and natural wood accents. 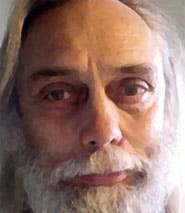 Sculpturesite was founded by Brigitte Micmacker and John Denning. They created A New Leaf Gallery in Berkeley in 1990, to make quality, affordable sculpture available to Bay Area collectors, featuring internationally renowned and emerging sculptors. All of the artists are carefully selected based on their approach to the concept and craft of sculpture and the contribution they are making to the world of contemporary art. Sculptures in metal, steel sculptures, stainless steel, bronze art, kinetic sculptures, and sculptures in glass, ceramic, concrete, resin, wood, mixed media and more can be found both indoor and outdoors. SculptureWALK is presented outdoors, where colorful abstract sculptures, graceful figurative pieces, and mesmerizing kinetic sculptures grace the main lawn, various planter beds, the edge of the north parking lot, and the new decks overlooking Sonoma Creek and bordering Sonoma Valley Regional Park. Next to the outdoor sculptures you'll find artifacts from the site’s long history, which dates back to 1839 when General Vallejo first built the original sawmill. Sculpturesite delivers and ships all over the world, and expertly arranges very successful site-specific sculpture commissions. If you would like to add sculpture to your home or office, and don’t see what you are looking for, please don’t hesitate to talk the friendly staff at Sculpturesite. With over 25 years experience in working with sculptors, collectors –new and seasoned, art consultants, architects, city art commissioners and engineers, you can trust that they can locate or help create the best sculpture for your project. 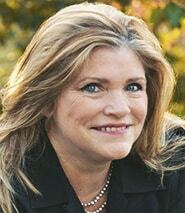 And get it to you on time and within budget, with their turnkey commission process! Yeti’s creative menu is a Nepalese-Indian fusion of both cultures. Since early 2008, chef-owner Narayan Somname has been cooking up a storm of traditional South Asian specialties at his Yeti Restaurant. Yeti’s kitchen draws the best from Sonoma County by bringing you fresh seasonal produce, meats and seafood. The lovely deck overlook Sonoma Creek offers an exceptional outdoor patio lunch or dinner experience They offer traditional appetizers, curries, tandoori and a number of vegetarian dishes. They feature international and local beers in addition to their extensive wine list. Yeti Restaurant is an authentic world of exquisite dinning. Their great tasting food is presented to you as a complete culinary masterpiece. You can enjoy delicious Indian and Himalayan Cuisine at its best in an elegant and intimate ambience. As per the restaurant’s creative mission, it is their pleasure to present Yeti’s Himalayan cuisine, drawing on a tradition of more than 5000 years of Himalayan culinary tradition. The beauty of this tradition lies in the skillful combination of meats vegetables, herbs & spices used for centuries, cooked to perfection to preserve mouthwatering taste, flavor, aroma and nutrition, Experience the warmth and charm of their wonderful and creative cuisine in a cordial atmosphere. They will happily adjust the spiciness of your order to your taste. 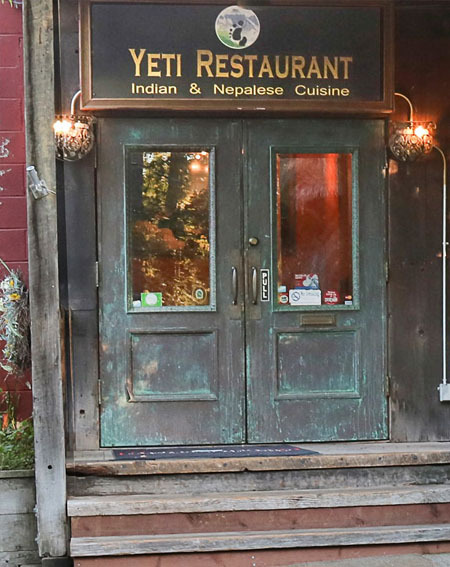 Yeti Restaurant Fine Nepalese/Indian Cuisine has been serving the Glen Ellen area since 2008. 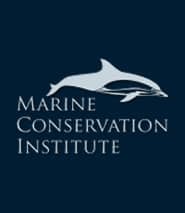 Now also open in East Santa Rosa. Each dish is prepared in an authentic home-style, using only natural spices and ingredients. They never add preservatives or artificial colorings and as result, the delicious food is also very healthy! At last, a coffee shop in Glen Ellen featuring the best in freshly brewed gourmet Coffee as well as tea, sandwiches, salads and fresh pastries along with a wine bar and a wonderful gallery of fine food products. Enjoy your coffee while sitting in the shade of welcoming outdoor veranda or browsing the striking assortment of imported home décor and antiques, coffee, pastries, refreshing fruit smoothies. “Horatius” is something the owner, Horatio Gomes, a former advertising agency owner who specialized in “Latino and ethnic markets” and recently sold his agency after 23 years, has always wanted to do, probably following in his Portuguese family’s tradition and chain of grocery stores in Venezuela. 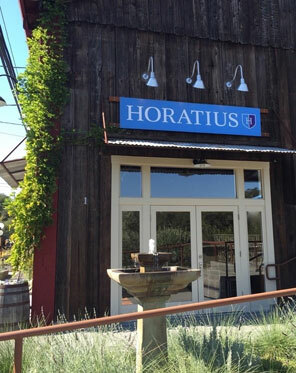 He had another Horatius on San Francisco’s Potrero Hill in 2009, which became a sought after event space. 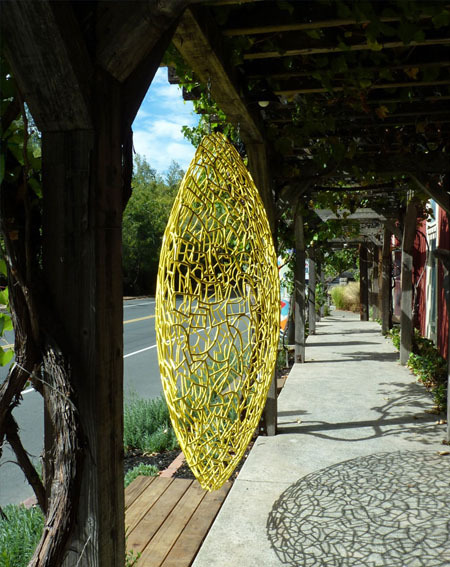 Hopscotch Gifts and Gallery at Jack London Village in Glen Ellen is an utterly charming wine county gem! Featuring a stunning, unique selection of one of a kind local art and crafts, completely local, independent and unique. Hopscotch Gallery at Jack London Village in Glen Ellen is a great place to find something beautiful that no one else has! It is a rare find indeed and Hopscotch has something for everyone - from a simple, whimsical small gift or card, to classic artisan glassware to fine art – all handmade, uplifting and colorfully displayed. “I stop by Hopscotch at Jack London Village whenever I'm in the area to browse new stuff and indulge my senses”, said a frequent visitor. Be sure to visit this unique and charming shop: Hopscotch Gifts & Gallery at Jack London Village in Glen Ellen is where Dr Seuss shops with Alice in Wonderland. 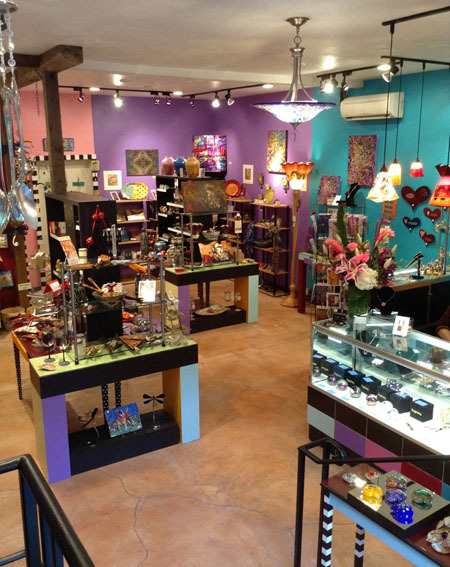 Co-owned by Kay Young and Jordan Celso, this wonderful shop features jewelry, blown glass, hand painted dinnerware, metal art, paintings, prints, cards, lighting, silk scarves, and more. Everything is handmade in the USA. Fun gifts and cool art. Art that makes you smile!